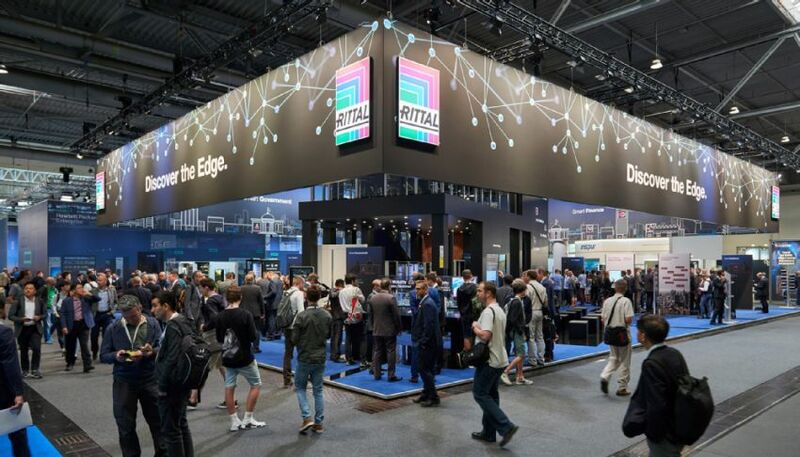 CEBIT 2018: Turnkey edge data centers for successful digitization | Rittal - The System. At CeBIT 2018, Rittal will be presenting innovative edge computing solutions for a large number of industries. Pre-configured and modular systems help businesses to implement new IT infrastructures quickly, securely and economically at almost any location. The demand for new data centers is being driven by the digital transformation and the growing importance of data as a production factor. This means that not only is the amount of data increasing, but also the demand for quickly available data near the place of origin. Smart applications in all industries – from Smart Healthcare to Smart Finance – demand short latency, an uninterrupted availability of data and system-wide security. Besides that, industry-specific requirements exist, such as the need for particularly high physical protection in harsh manufacturing environments. Edge data centers can meet these requirements in numerous applications. Manufacturing is being transformed by digitization: IT systems are needed to fully exploit the benefits of the increased automation that result from the use of intelligent robots and networked machines. Sensors generate continuous data streams. Analysis of this data lets companies streamline production processes, test and improve product properties, or prepare predictive maintenance scenarios. At CEBIT, Rittal will be presenting “Smart Industry” use cases with a focus on the digital transformation of industrial environments. These use cases show how enterprises requiring additional IT resources locally for their smart factory applications can establish high-availability, high-IP rating data centers –within the production building itself or elsewhere. Issues such as cryptocurrency, blockchain or cashless transactions are triggering innovations in the financial industry. The use of the related new technologies calls for secure and powerful IT systems. Edge data centers, strategically close to financial service providers permit the shortest response times and a secure automation of transactions. Rittal offers edge and cloud data centers that support all the needs of the financial sector right up to High Performance Computing (HPC). Developments like driverless vehicles, car sharing platforms or intelligent logistics software are changing the way people and goods move from one place to another. The aviation and rail industries are also increasingly digitizing their services to achieve greater efficiency, safety and punctuality. For these and other future applications, companies will need modern IT infrastructures that can process large amounts of data in real time directly at such locations as logistics hubs, smart cities, or airports. Edge data centers are suitable for this decentralised development of IT capacities, as only they offer the short latency needed for real-time communication between IT systems. 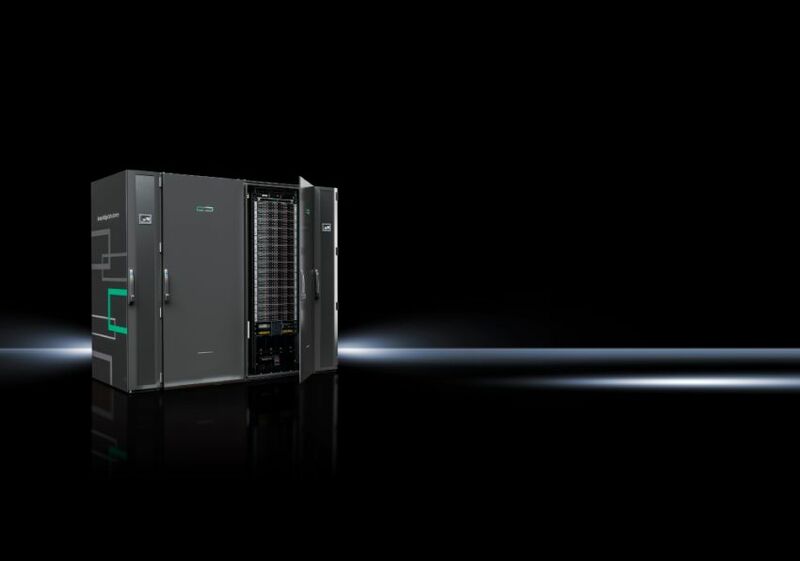 At CEBIT, Rittal – along with IBM – will be presenting the Scalable Modular Data Center (SMDC) solution. This edge solution is available in 2, 4, and 6-rack scalings and comes as a turnkey data center. Modern healthcare systems today are an intelligent network between pharmacies, hospitals, insurers, and healthcare providers. The patient data stored in this network demand a high level of data availability and a maximum of protection against unauthorised access. In operating theatres, physicians must be able to rely on accurate and readily available data, while in diagnostic imaging, it is important to be able to process even very large amounts of data quickly at different locations. An edge data center can handle this confidential information with a high performance and directly on site, ensuring a very high level of security. With the Micro Data Center Level E, Rittal is presenting an IT environment with top physical security, including both access and fire protection.